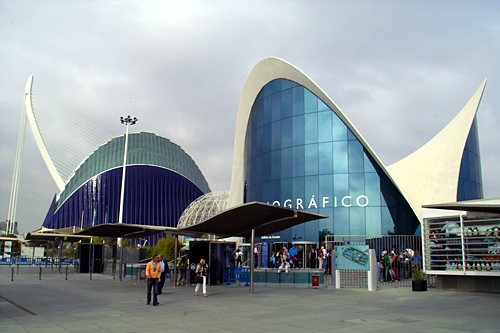 We already covered Valencia’s incredible zoo, the Bioparc and thought it was time to pay a visit to our aquatic friends in Europe’s biggest aquarium, the Oceanografic. Found at the harbor end of the City of Arts & Sciences complex, this aquarium features marine ecosystems from throughout the world. The admission price of €23,95 seems steep, but is money well invested. The Oceanographic is huge, and can easily consume an entire day. Over 45,000 individual animals of 500 different species populate the premises. Highlights abound. 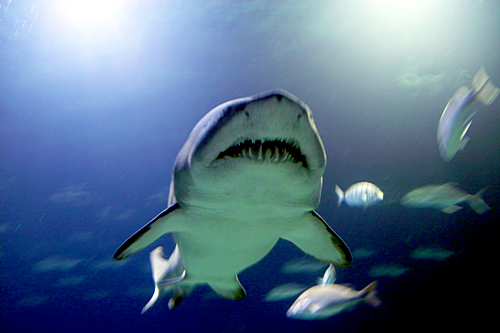 Take a walk through the shark tunnel, and try not to shiver as a gigantic Great White swims four feet over your head. We spent too much time watching the seals play, and almost missed the wonderful, high-flying dolphin show. 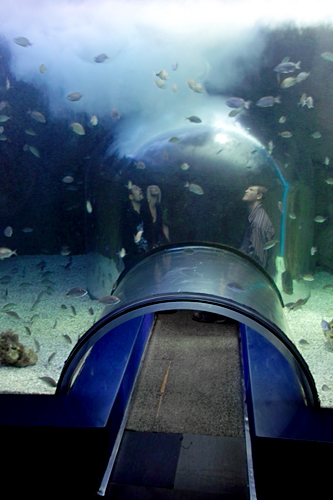 Something unique we’d never seen was a walk-in submarine aquarium — we sat on a bench, in a little bubble and almost felt like a part of the scenery, as Mediterranean fish swam around us. The greatest attraction, though, was the Beluga whale born in captivity in the Oceanografic. Graceful, beautiful, playful and unbelievably cute. I wanted so badly to give that thing a hug. The best time to visit is during the off-season (October through May), in the morning hours before the school buses full of pushy, screaming children arrive. Make sure to stop by the information stand first, to find out about special events and check the times for the dolphin shows. And please remember not to use your flash when taking pictures through aquarium glass: (a) they won’t turn out, because the flash reflects against the glass, and (b) you’ll annoy everyone around you. We were going nuts watching amatuer photographers look in puzzlement at their digital cameras, then take another flash picture. Then stare befuddled at the blown-out photo. Then take another flash picture. Befuddlement, flash, confusion, flash, frustration, flash. 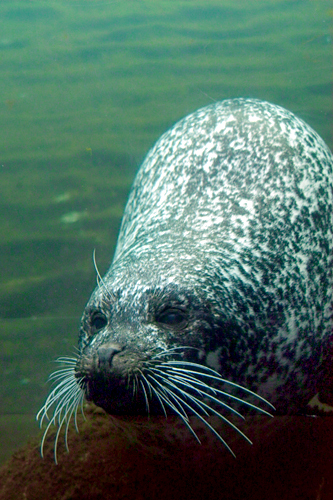 Visit the Oceanografic website for more information, current promotions and opening hours. Location on our Valencia map.